For the past 35 years, our company Advanage Diversified Products, Inc. has been hiring young people from our nation’s underprivileged inner cities. We hire them because to sell our products successfully, door-to-door, you don’t need a college (or even a high school) degree. All they need is to be willing to listen, learn, and work hard. Soon, not only have they learned how to sell and make some money, they have also gained the self-confidence and self-discipline to succeed in all walks of life and become contributing citizens. Consequently, there are thousands of appreciative Advanage alumni all over this nation and we hear from them continually. Here is a snippet from an email we recently received from one (not so young any more) former agent. Please note he uses the words “motivated and aggressive.” That’s because we teach and show our people than a motivated, aggressive, enthusiastic and hard working person will outperform lethargic and unmotivated people every time. This is what we’re doing, on a broader scale by forming a 501c3 non-profit organization, www.advanagefoundation.org. Our foundation provides workforce development programs for these unemployed, underprivileged young Americans. We teach them workforce skills and we also instill in them the desire and confidence to go through life with gusto. Please visit our website and help us help these young people learn how to make a living and live a better life. High School Drop Out Rates in America’s public high schools, 45% of black students and 43% of Hispanics (as compared to 22% of whites) drop out before their classes graduate. Dropout rates are especially high in urban areas with large minority populations. And of those black and Hispanic students who do manage to earn a diploma, a large percentage are functionally illiterate. Black high-school graduates perform, on average, at a level that is four academic years below that of their white counterparts. Substandard schools, poverty, non-existent parenting, and teachers unions focused on compensation, tenure and benefits or just some of the reasons why these young Americans are destined to live their lives in poverty and underachievement. Our company, Advanage Diversified Products, Inc. hires young people from our nation’s underprivileged inner cities. So we see first-hand just how ill-prepared these young people are to become contributing citizens. We can’t do much about their formal education but we can give them a job and give them some hope for the future. To those ends, we have formed a 501c3 non-profit organization www.advanagefoundation.org that provides workforce development programs for these unemployed young Americans. Please visit our website and help us help these young people learn how to make a living and live a better life. Migrants find success in the United States, the pursuit of the American dream is as old as America itself. The goal of seeking a better life is limited only by ones determination, imagination and ability. This pursuit continues to fuel the dream of migrants who leave their home, comfort, friends and family. For many who have migrated from their home in pursuit of the American dream it has led them to unheard of success. Many of the people shown here are business people in their own rights which exemplifies their undying entrepreneurial spirit that hard work, honesty and integrity still goes a long way in 2015. As Advanage prepares to celebrate its 31st year in the door-to-door industry, these independent distributors can highlight their migratory experience from state-to-state across our nation in pursuit of the American dream. The celebration is to amplify and promote the new marketing additive of signing customers up to be distributors of our Wonder Cleaner thus, assuring their continual success. 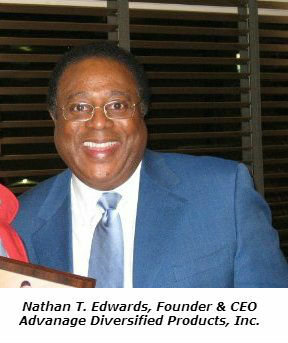 These are members of Mr. Nathan T. Edwards’ sales crew that migrated from the inner cities of America to different parts of the United States in search of reaching the American dream far into this century. Mr. LeVan Ellis, a leading entrepreneur in the Direct Selling Industry, has donated an IBM AS400 (iSeries) Server with Backup Power Supply to the Advanage Foundation, a Community Development Corporation. Nathan T. Edwards (left) and LeVan Ellis. Two entrepreneurs helping young Americans live better lives. The Harvey, IL based Foundation provides assistance to underserved, typically inner-city, communities throughout the USA. Services include workforce development, entrepreneurial education, and recreational programs for young people living in underprivileged neighborhoods. The AS/400 will be used by the Foundation to support its Computer Literacy initiatives. With that sort of in-house capability, the Foundation will be able to provide valuable training to citizens, young and old, in communities in and around our corporate headquarters in the south side of Chicago. Helping young and older Americans in Chicago is just the first stop for the Foundation. Plans are being formed to provide similar services in ten different Midwest cites. To accomplish that we need your help. Your donation, which is tax deductible, can be made at www.advanagefoundation.org. The Foundation is a 501c3 non-profit organization. In 1999, the state of Illinois launched a program called EDGE – short for Economic Development for Growing Economy. The idea was to give companies tax incentives to hire additional employees. Over those many years some 783 EDGE agreements were made with employers. Analysis now shows that 2 out of every 3 participants (employers) failed to keep or add employees as agreed. Since 2001 some $450 Million in tax credits have been claimed by EDGE participants. The state is now seeking reimbursement from those who failed to hire the number of new employees their agreements called for. Incentives to hire people the employer really don’t need or want to employ them is doomed to fail. The only lasting solution is to training unemployed people to perform jobs that employers need and want to fill. Thus successful workforce development programs focus on training and motivation. 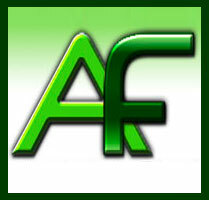 www.advanagefoundation.org is one such organization. For over 35 years, our company has been providing jobs for young people who have grown up in the under-served communities of the United States. Such communities are often found in our inner cities where schools are subpar, where more kids drop out of high school than graduate, where joblessness is a way of life, where young and old hang out on the street corners, and where crime runs rampant. We recruit these young people from these miserable neighborhoods because they deserve a break. No references or even a high school diploma required. Just a willingness to change their lifestyle and work hard. Having done this for over three decades we’ve learned a lot about what does and doesn’t work when dealing with these young men and women who have not had the benefits of a decent education and a healthy, nurturing home life. First we concentrate on teaching them how to take care of themselves. Shaving, bathing, dressing appropriately (pants pulled all the way up to the waist), showing up on time, and treating their fellow trainees and trainers with respect… all are mandatory requirement in our training program. Along with this self-esteem training, we introduce our ‘Selling is Living’ curriculum. That’s because right from childhood, life is selling. Think about it. You pitch your parents to take you to the movies. You pitch them to raise your allowance, get a nicer bike, perhaps your first car. You sell your friends on where to eat, what movie to see. Husbands and wives sell constantly: who takes the dog for a walk; who’s going to get the groceries? Only then should the sales person start discussing the product they are selling. If you’d like to know more about our company and its mission to help young Americans, from the underprivileged neighborhoods of our inner cities get a break and get a job, please go www.advanagemission.com.